As a child, I spent countless hours following the deeds of the ancients. It did not matter to me that these were but collective memories, recorded so long ago as to be handed down first verbally. In my mind, I soared in those adventures, from the battles of the conqueror Ulysses, to the travails of vanquished Aeneas. 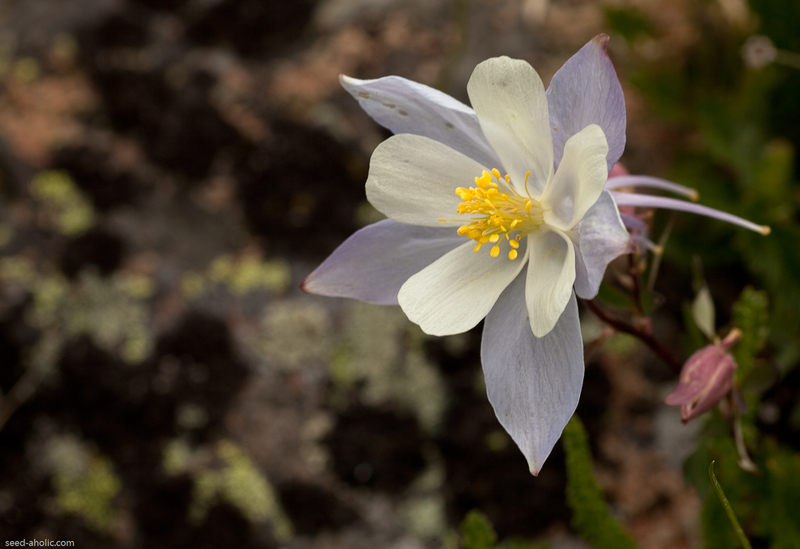 So when we traveled to Breckenridge, the name Boreas still held a bit of magic for me. It was he, the North Wind, in conjunction with his brothers, who made the seas rough for Aeneas, as per Juno's orders. What great myth and history! It was he, who blew his fearsome breath from the arctic regions, unable to restrain, sigh or breathe gently. So, not the gentle lover he wished to be, he had to carry off his beloved Orithyia. 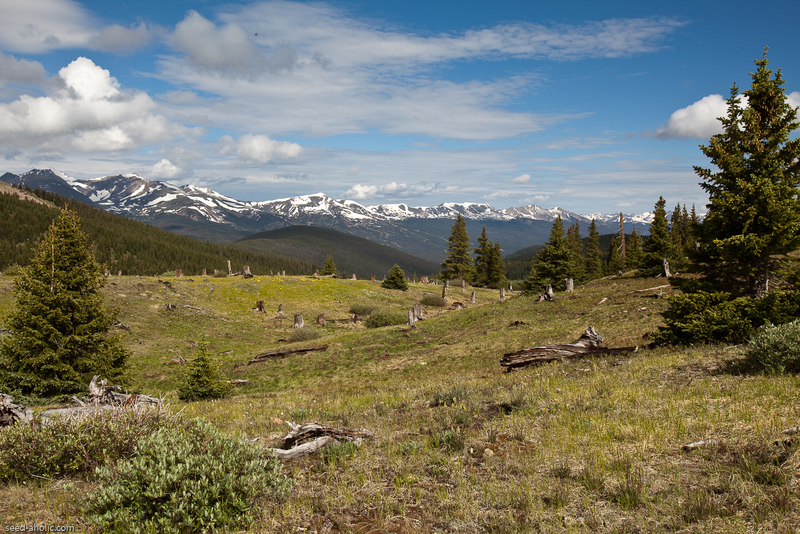 When we drove out from Breckenridge that morning, traversing Boreas Pass, these heraldic thoughts flooded my senses. Naming the pass for someone with this much conjuring power must be significant. Of course. The Victorians were big on the Greeks. 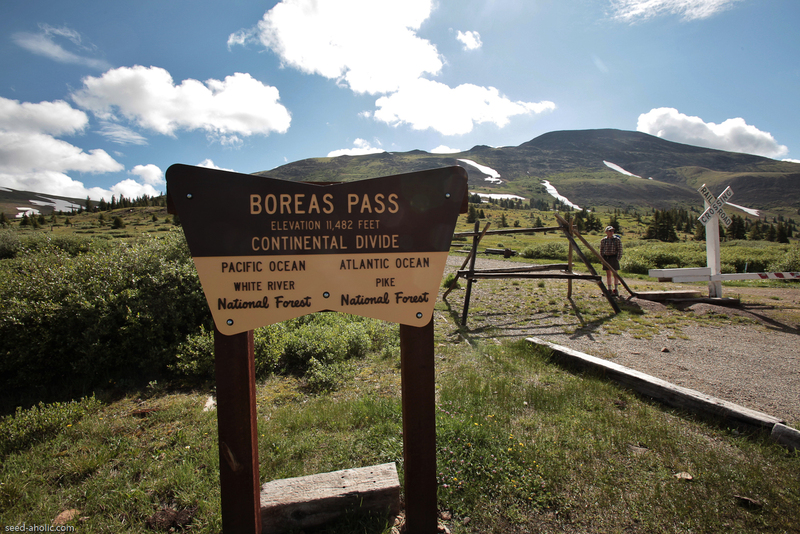 And in the late 19th Century, Sidney Dillon ( the railroad promoter) renamed the pass. (Note: now, thanks to Google, when you click on the adjacent photo, it takes you to a gallery. Click on the link at the bottom to see an enlarged version of the photo and keep clicking for good detail on the posters.) 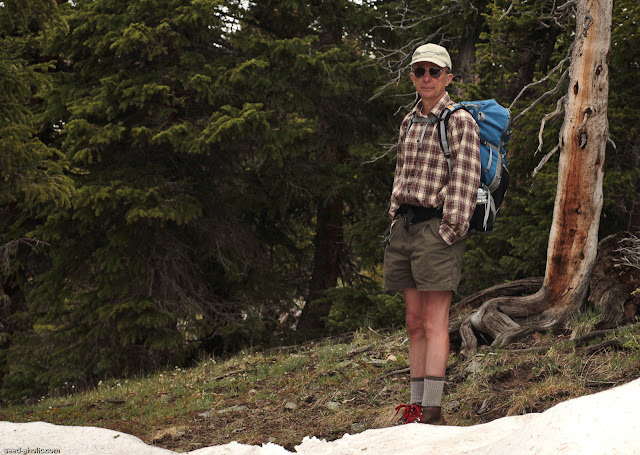 The narrow gauge railroad tracks he laid were steep and windswept. 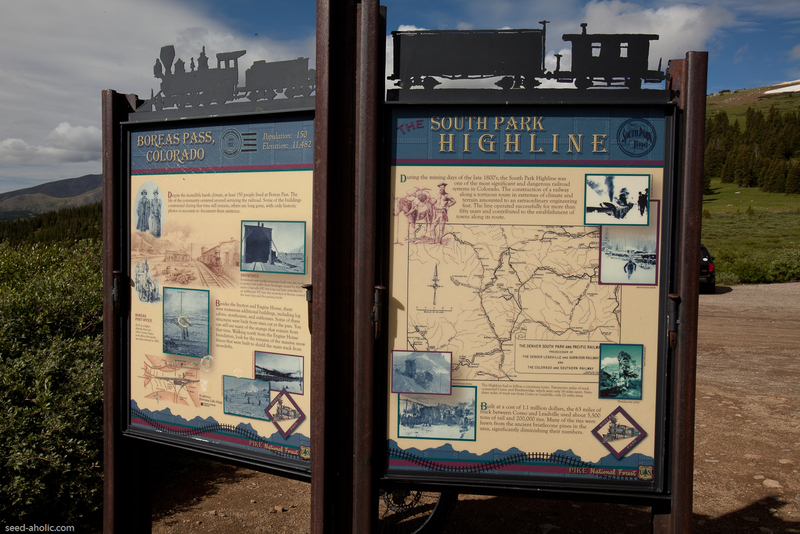 At 11,000 ft, the rail line was one of the world's highest at that time. But despite hardship and bitter cold conditions, it flourished as the best way to provide "an uninterrupted stream of minerals" from Leadville to Denver. Luckily for all of us the Army Corps of Engineers turned the abandoned track line into a scenic, albeit bumpy, automobile road in the 1950's. Today it is touted as a great mountain bike road. After we parked near the monument, we knew in our bones how apt the name. Even in the sun, there was a chill blowing down from the snowy areas. What struck me almost dumb was the stump remains of the bristlecone pines that fed the railroad with ties over a hundred years prior. Not much decomposes here. Among this preserved debris were bright spots of glinting yellow. No the gold was long gone. I mean something that warms your heart - the ultimate dyc - Hymenoxis grandiflora. 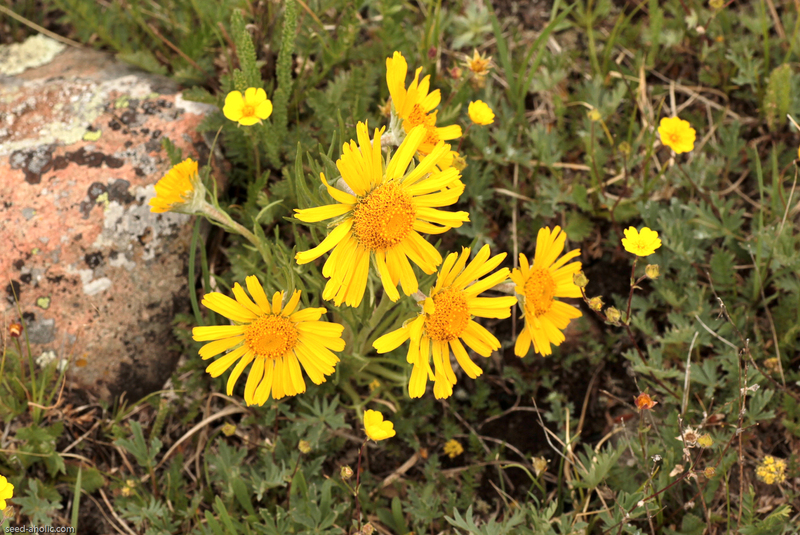 Usually I do not get that excited about most yellow plants, especially daisies. But this one is small, hairy and a survivor. Woolly plants with dissected leaves sing a siren song to me - irresistible. 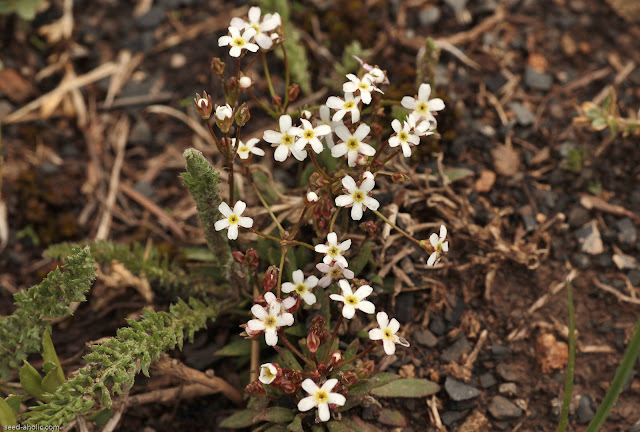 Have you tried to grow it in your garden yet? It's on my hit list of seed to sow and grow for next year. As we walked along the hillside, I noticed another little gem of a plant for our Eastern gardens - townsendias. Just a little higher in elevation, the meadow became lush with mertensia, geums, and polemoniums. 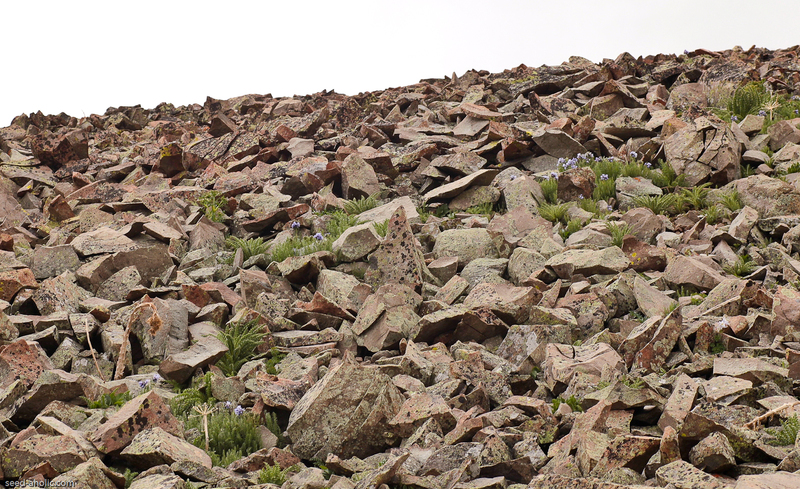 Approaching a talus scree (a large rock boulder field), I spotted the Colorado poster plant - Aquilegia coerulea. 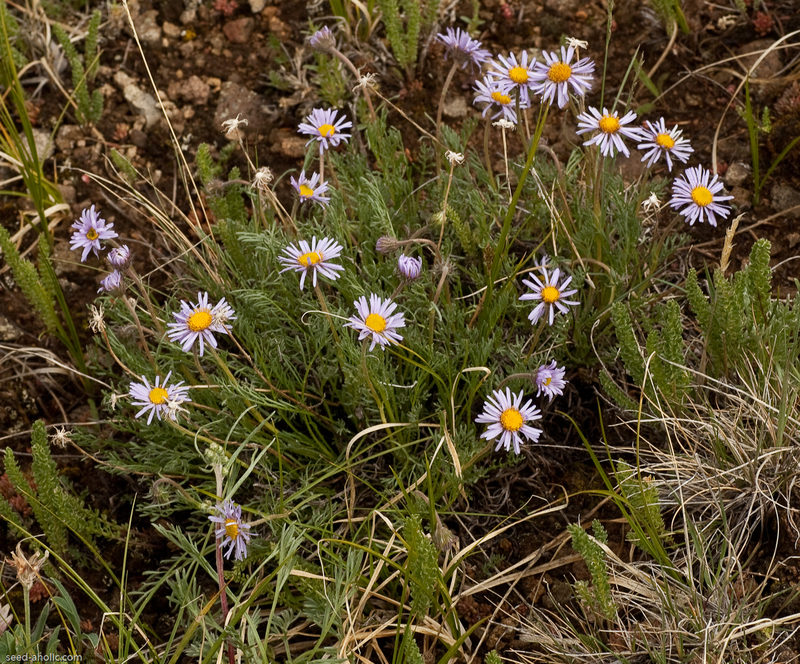 At least, I believe this to be the name, although the dwarfer A. saximontana's habitat is near the Continental Divide, where we are. Supposedly the dwarfer has more strongly hooked spurs. In my garden A. saximontana always seems to grow more robust like A. coerulea. Either make wonderful color and a change from our eastern aquilegias. The rocks of this talus slope were pink, angular granite - a veritable scree field for giants. For me they were big and loose. It took a little getting used to - walking across the field without it moving. 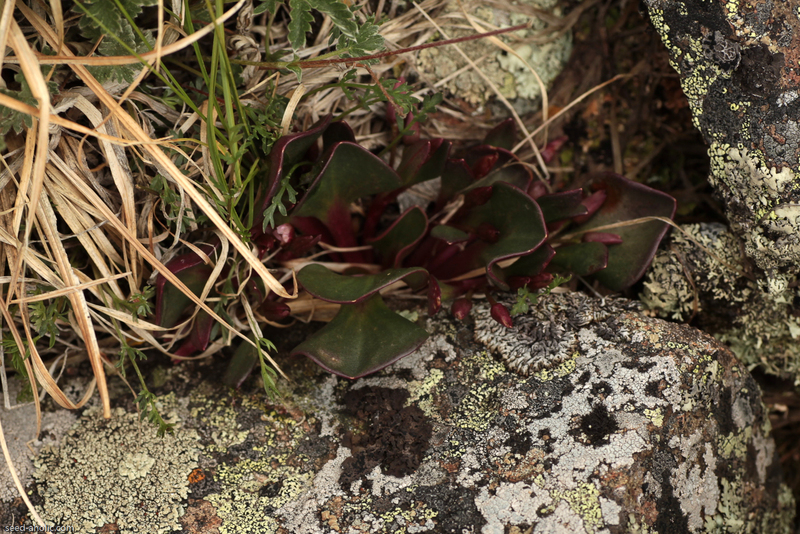 And lo, in one corner I spotted the lovely Claytonia megarhiza, still in bud. The portulacaceae family has always interested me. Even before I gardened I loved to pull apart the fleshy leaves of purslane. And at that time I had no idea one might eat it. We kids used it for great "goo". 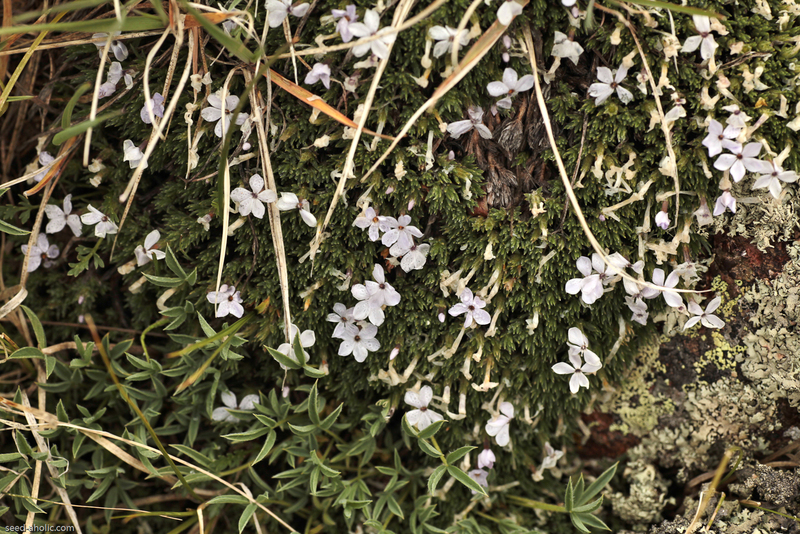 As I looked up from the rock, I spotted the phlox, maybe P.condensata, or would it be pulvinata? Here is where I could really use a lesson.The only way I know to distinguish them is that one has color. At any rate, the mounds were first rate. This was absolutely inspirational. This was why I came to the pass. Plants started popping in the sun - Silene acaulis, alpine cerastium, Polemonium viscosum, arenaria (to name but a few) all looked up at me as I traversed the field. Be aware my naming is subject to change. 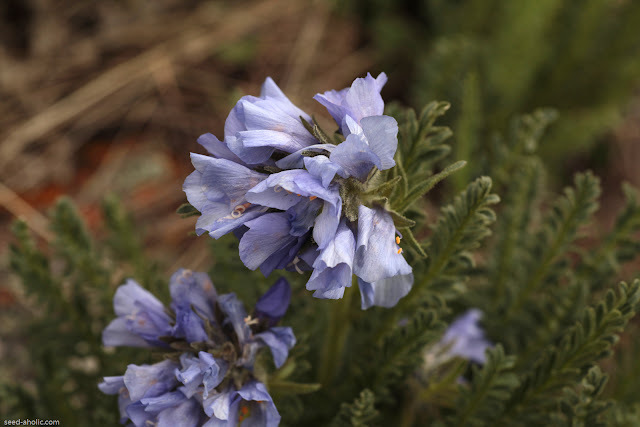 The Polemonium might actually be P. confertum. But someone else must decide. Looking uphill was almost dizzying. The site was as if the north wind itself had blown the mountain into bits and resurrected it in a pile of stones. In between, bit of geum, trifoliums, castilleja and arenarias made their homes. As we tramped onward and upward we made it through spots of snow. Water tinkled below our feet. 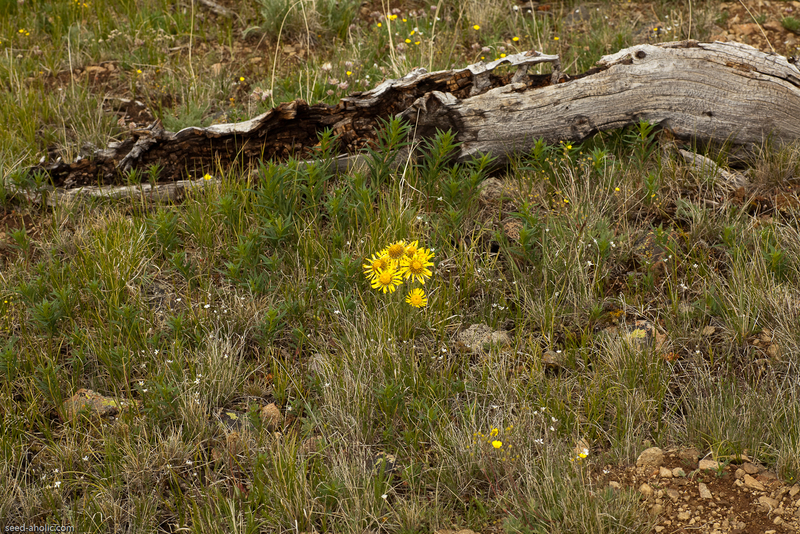 Members of the ranunculaceae began to appear - Trollius laxus, Anemone narcissiflora and parviflora, Caltha leptosepala. 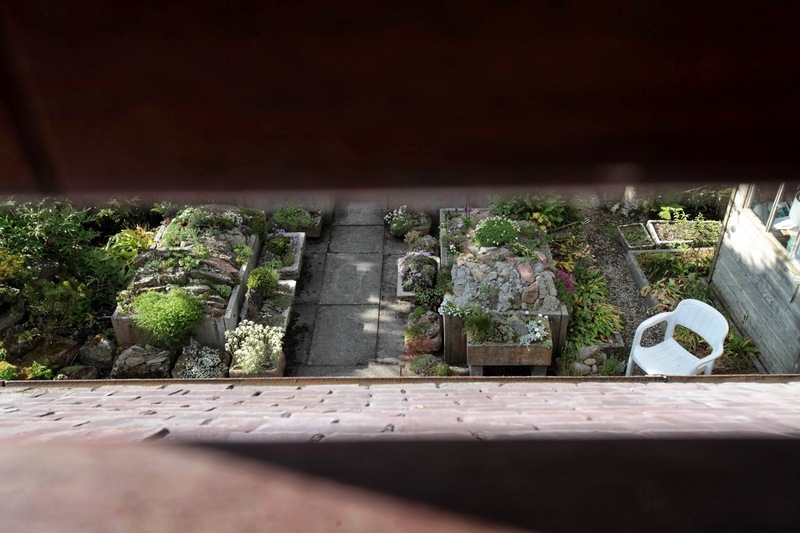 My eyes were filled with amazement to see these plants in their native habitat. Even my old friend Androsace septentrionalis had a different growth habit from when it grew in my garden. Bits of the forest still appeared here and there.